Liberia presidential vote halted by country’s Supreme Court – Royal Times of Nigeria. 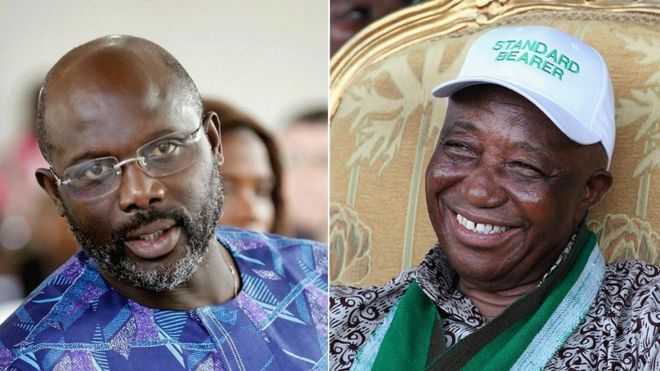 The Supreme Court in Liberia has ordered the suspension of next week’s presidential election run-off so that it can consider allegations of fraud by a candidate who was eliminated in the first round of voting. The court has asked the candidate, Charles Brumskine, who came third, to present his case today. The run-off, due to be held next Tuesday, is between the front-runner, former football star George Weah, and Vice-President Joseph Boakai. Mr Brumskine’s Liberty Party welcomed the court’s decision, saying it’s a big step in the right direction. The poll is expected to lead to the first smooth transfer of power in more than seventy years, following President Ellen Johnson Sitrleaf’s decision to step down at the end of her two terms. Mr Weah failed to secure an outright majority in last month’s election, forcing a run-off.